A back-to-back-to-back (!) 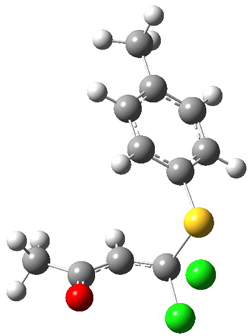 set of three papers in Angewandte Chemie from Bartosz Grzybowski and co-workers. All three articles concern the development of Chemical Networks and their application in synthetic chemistry, of which more later. It is often said that the realm of synthesis is both art and science, however, the wealth of empirical observations made over centuries of making molecules underpin the field. As Grzybowski remarks here, “it is simply beyond cognition of any individual human to understand and analyze all this collective chemical knowledge”, and most chemists already search online synthesis databases to perform individual steps, but perhaps the role of automated computational synthetic route selection, and reaction design is set to grow? Also see Dean Tantillo's recent post on CCH. Grzybowksi’s group has constructed a network of organic chemistry (NOC) from reactions in the chemical literature since 1779 until present day: reactants and products are represented by nodes in this graph and known chemical interconversions by edges. From this NOC containing seven million reactions, the first paper of the series seeks to discover new ways of performing consecutive reactions in the same vessel (so-called “one pot” reactions). From known reactions that interconvert A to B and B to C, the authors have coded filters that check for compatability between solvents, reagents, catalysts etc so that the two steps may be performed in the same reaction vessel, thus creating a novel way to prepare C from A in one step. Typically synthetic organic protocols are the result of much tinkering and optimization studies in the lab: in contrast the NOC predictions have yield a number of two, three and four step one-pot reactions that give moderate to good yields without any human optimization. In the second paper the group turn their attention to designing “optimal” reaction pathways to synthesise a given target molecule. Again the NOC is used, this time to propagate backwards from the target via an initial synthetic plan to starting materials. A Metropolis Monte Carlo algorithm is used to randomly sample alternative routes in order to minimize a penalty function associated with the cost of performing each step. Impressively this approach has been used already by a synthesis company to reduce their costs. Additional costs such as waste disposal or energy costs associated with heating/cooling are undoubtedly important for chemistry on the process scale, and perhaps these could be incorporated in future implementations of the optimization. The third application of a chemical network considers the synthesis of chemical warfare agents. Reaction networks are explored starting from commonly available household chemicals. Thankfully the paper is careful not to disclose any of the synthetic steps involved, and the authors propose strengthening existing regulation of substances by not only regulating single molecules but also combinations of reagents that have been ranked according to game theory as more likely to be used. As chemists we are familiar with two types of strong bonds occurring between atoms, covalent and ionic. This paper shows that when very strong magnetic fields (of the order of 105 T) are applied, a third bonding mechanism arrises. 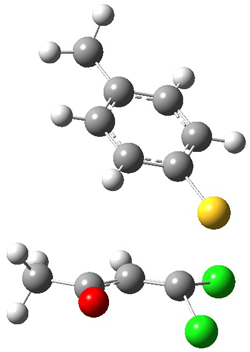 Helgaker and co-workers term this perpendicular paramagnetic bonding. Whilst previous Hartree-Fock calculations have shown that the lowest triplet state of H2 becomes bound in strong magnetic fields, this investigation uses the recently developed LONDON code to demonstrate the same phenomena at the Full-CI level. Similar calculations (again, with a very strong magnetic field) on the triplet state of He2 show a considerable strengthening of the interaction between the constituent atoms. By examining the behaviour of the molecular orbitals under different orientations relative to the external magnetic field, the authors note a stabilisation of antibonding orbitals in the perpendicular orientation, leading to a new type of bonding interaction. Although the potential of a new chemical bonding mechanism is undoubtably exciting, the magnetic fields required are beyond those that can be currently generated in a lab. However, such fields are present on some stellar objects and the findings of this paper are likely to aid in the spectroscopy of such bodies.